In just three short months, the governor, attorney general, and secretary of state have left a partisan trail of bad policies and broken promises. 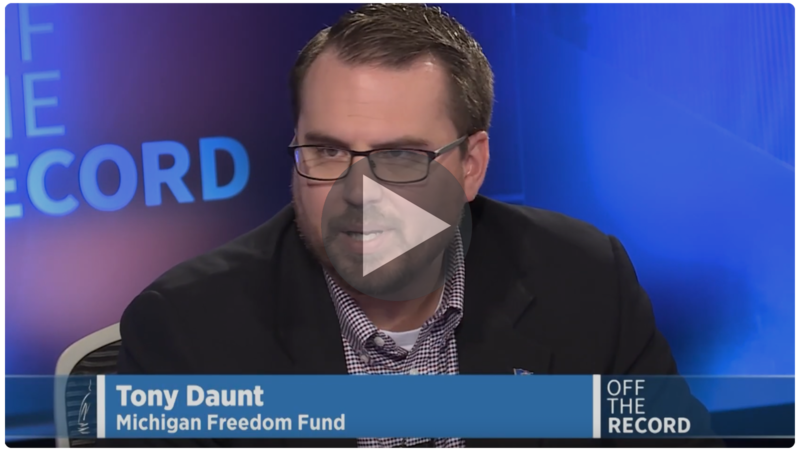 At every turn the Michigan Freedom Fund is there, on the frontlines, shining the light on their schemes, probing behind the curtain to find the truth, and holding them accountable to taxpayers across the state. We’re fighting for workers’ rights, a transparent government, and the rule of law, and our work is only possible because of your support. The stakes couldn't be higher. Whitmer, Benson, and Nessel have declared open season on Michigan workers, taxpayers, and families, but the Michigan Freedom Fund is holding our state government accountable. Will you fight with us? Your contribution of $10, $50 or $100 can make all the difference. With you standing beside us on the frontlines, we’ll defeat their radical agenda, and taxpayers will win.